“Het lot van de slapende schoonheden” was a big succes in Holland. Over 3000 copies sold. 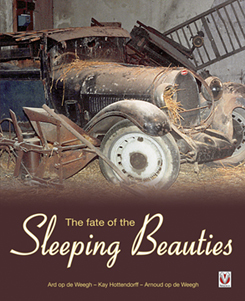 In November the English edition of the book with the title “the fate of the sleeping beauties” will be published by Veloce. Arnoud, Kay and I are very proud of the result and Michel Dovaz is, too. 25 years after the beautiful book “sleeping beauties” of Herbert Hesselmann and Halwart Schrader the real backgrounds and the true story of the collection and Michel Dovaz is told.